Education: Ovulation Method Teachers Association (OMTA), Anchorage, Alaska; The Evergreen State College (TESC), Olympia, Washington; National College of Naturopathic Medicine (NCNM), Portland, Oregon. Biography: Dr. Van Dilla was certified by the OMTA as a teacher and began teaching public classes in 1985. She decided to become a naturopathic physician in 1989 and returned to TESC to complete the prerequisites for NCNM in 1990. Dr. Van Dilla began OMTA-certified teacher training in 1994. She graduated from TESC in June, 1994 with a double degree (BA and BS) and graduated with honors from NCNM in June, 1999 with a degree in naturopathic medicine. Dr. Van Dilla was certified by the North American Board of Naturopathic Examiners in August, 1999 and licensed by the State of Washington Department of Health as a Naturopathic Physician in October, 1999. Dr. Van Dilla began her private medical practice in Olympia, Washington and moved to Santa Fe in July, 2000. She was born and raised in Los Alamos, NM and is delighted to again make northern New Mexico her home. 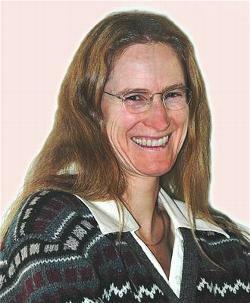 Dr. Van Dilla maintains an Oregon state license because New Mexico does not license her profession at this time (2012). Her special interests are in womens, mens, elder and pediatric health. Her therapeutic modalities of choice include diet and nutrition, botanical medicine, homeopathy, hydrotherapy, Healing Touch, massage and counseling. Along with her private practice, Dr. Van Dilla teaches and lectures to professional and public audiences. She has taught one-day Hydrotherapy classes at Santa Fe School of Massage (formerly the Scherer Institute) since 2000. In 2011, Dr. Van Dilla joined the faculty of Northern New Mexico College (the oldest state college in New Mexico), teaching the following 16-week semester classes: Introduction to Herbal Medicine, Herbal Pharmacy, Nutrition for Diabetes, Introduction to Aromatherapy, and Pathophysiology.